AAP on May 10, 2016 South Australians will be asked to take part in citizen juries to help decide whether the state should host a high-level nuclear waste dump. A jury of 350 voters will be asked to produce a report in November outlining the community’s views on the proposed dump and other nuclear issues, with the government to outline its decision by year’s end. The government will also launch an advertising campaign encouraging people to “explore the facts” on the nuclear fuel cycle, Premier Jay Weatherill told reporters on Tuesday. 2. Make more SA geophysical data available publicly to aid exploration. 3. Undertake more geophysical surveys areas where mineral prospectivity is high. 4. Commit to increased, long-term government spending to search for new mineral deposits. 5. Ensure the full costs of closing down radioactive ore projects are secured before mining starts. 6. 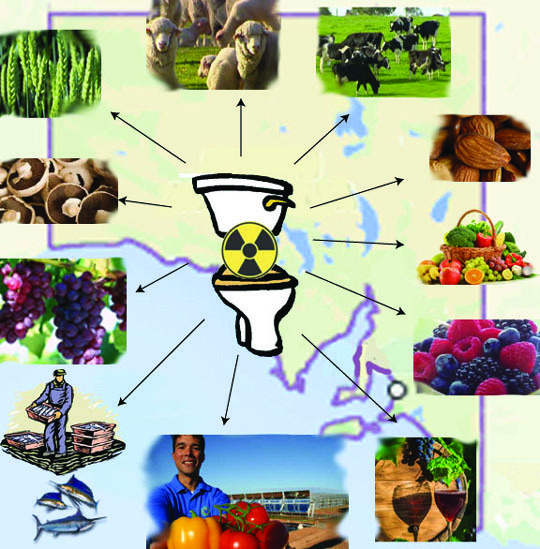 Remove state and federal bans on uranium processing activities. 7. Promote commercialisation of more research at the SA Health and Medical Research Institute. 8. End a national ban on nuclear power so it can be used to cut Australia’s carbon emissions. 9. 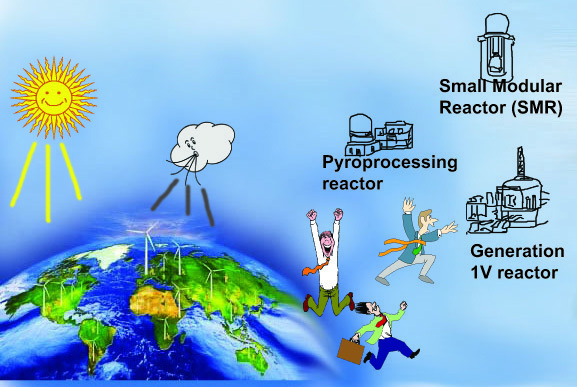 Develop a national energy policy that considers all technologies, including nuclear. 10. Work with the Federal Government to better understand available nuclear power options. 11. Pursue establishment of a used nuclear fuel waste storage and disposal facility in SA. 12. Abolish state laws preventing further taxpayer-funded investigations of the industry. Federal and South Australian govts underestimating people’s opposition to nuclear waste importing? Fight looms over SA nuclear dump 9 News, 9 May 16 Environmentalists are threatening the fight of a lifetime over a proposal for South Australia to host a high-level nuclear waste dump. The state’s nuclear fuel cycle royal commission has called in its final report for SA to store the world’s nuclear waste in exchange for billions of dollars in revenue. Royal commissioner Kevin Scarce on Monday said it could take up to 10 years to lock in public support for the proposed facility. But he urged SA’s government to seize the opportunity as soon as possible to prevent potential competitors from getting in first…..
conservationists accused Mr Scarce of down-playing the risks of nuclear storage and threatened to ramp up their campaign against the dump. Premier Jay Weatherill said a nuclear dump would have “extraordinary” economic benefits but required broad community support, although this is unlikely to be sought through a referendum. South Australians could be ready in 10 years to accept nuclear waste from overseas for storage, royal commissioner Kevin Scarce said yesterday following the release of his final report. The report, released 14 months after Mr Scare’s appointment, made 12 recommendations. It said the state could “safely increase its participation in nuclear activities”, with a storage facility generating more than $100 billion over a 120-year lifespan. But Mr Scarce said there would be “10 to 15 years, 10 years I hope, to get to a point where we’ll make a decision’’, with ongoing community support required and consultation to start as soon as possible through an independent agency. At the same time, the agency should also determine general ­criteria for an appropriate dump site, he said. Labor Premier Jay Weatherill said the commission’s findings had bipartisan support­ but required strong public ­approval. A community engagement process would begin “within days” to inform the government’s response by the end of the year…..
A plan to store high level international nuclear waste in South Australia is dangerous and divisive and could turn remote SA into a permanent radioactive waste zone, the Australian Conservation Foundation said today. The Australian Greens have condemned the Royal Commission’s international dump plan and at its most recent National Conference federal Labor reaffirmed its ‘strong opposition’ to the importation and storage of overseas waste. Aboriginal people and the wider community are mobilising against federal plans for a national radioactive waste facility in the Flinders Ranges. Anti-nuclear pioneer Helen Caldicott slams SA waste dump plans ABC News 10 May 16 A pioneer of Australia’s anti-nuclear movement has described the final report from South Australia’s Nuclear Fuel Cycle Royal Commission as a “snow job”. Former Governor Kevin Scarce recommends go ahead for nuclear storage in SA The Advertiser, May 9, 2016 DANIEL WILLSSTATE POLITICAL EDITOR SOUTH Australia should immediately start talking to nuclear power nations about whether they would use an international storage facility in this state and seek an indication of how much they would be willing to pay, the Royal Commission has found. 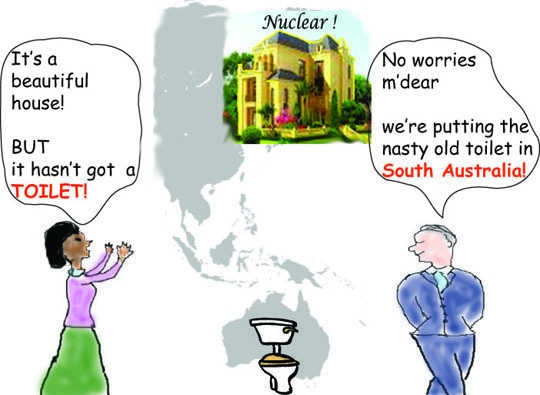 Premier Jay Weatherill on Monday released the final findings of former governor Kevin Scarce’s Nuclear Fuel Cycle Royal Commission, which strongly backs an SA waste dump………. Mr Scarce made 12 recommendations, which include ending bans on the use of nuclear power and enrichment of uranium. He finds only nuclear storage is likely to be viable in the medium term and that it “should be actively pursued, and as soon as possible”. It is estimated to be about a decade before SA could host a storage facility, because it would need to win both state and federal approval as well as demand the construction of about $2 billion in new infrastructure including a port, rail and roads before waste arrived. Mr Weatherill is expected to detail further steps later this week. However, Mr Scarce’s report says that should include seeking host community bids and identifying customers. “A preliminary indication should be sought from potential client countries as to their interest in further discussions on their potential participation,” it states. Countries with large stockpiles include Korea, Japan, Germany, Spain and Belgium. The report stresses that “from the outset, it should be acknowledged that there would be a substantial package of community benefits” and says there could be multiple bidders. There would also need to be significant scientific studies of the Outback to find land which is dry and stable. Previous analyses have identified the Gawler Craton and Officer Basin, which cover much of the state west of Adelaide, as potentially viable regions…. Federal Resources and Energy Minister Josh Frydenberg said the report was a “sound basis” for further discussion and he would develop a thorough response.